The fear of becoming more visible. How visible are you 'allowed' to be? Most of us have fears and doubts about becoming more visible – especially in our businesses and career, where the stakes seem very high. A part of us really admires people who are putting themselves out there, who we see and hear from, who seem unafraid to share their opinions, their ideas and their gifts and talents. Just have a think about who you admire, emulate… even slightly envy. But, us human beings, we have a deep-seated need to be seen. To be loved and appreciated, to achieve and to be respected by others, and to discover our purpose and live it! So, we bounce up and down like rubber balls, aiming for the top, which feels so GOOD, but ever mindful of our safety and physiological comfort, those basic, foundational needs that are never going to go away. When we are feeling a little safer once more, we venture out, aiming for the top – and becoming ever more visible the higher we get on our personal pyramid. on how we feel about these new achievements (esteem). Maybe if we get enough encouragement and loving feedback, we can stay up there longer, get more done and feel great…at least for a while. Then it’s back to becoming the invisible (wo)man for a while. 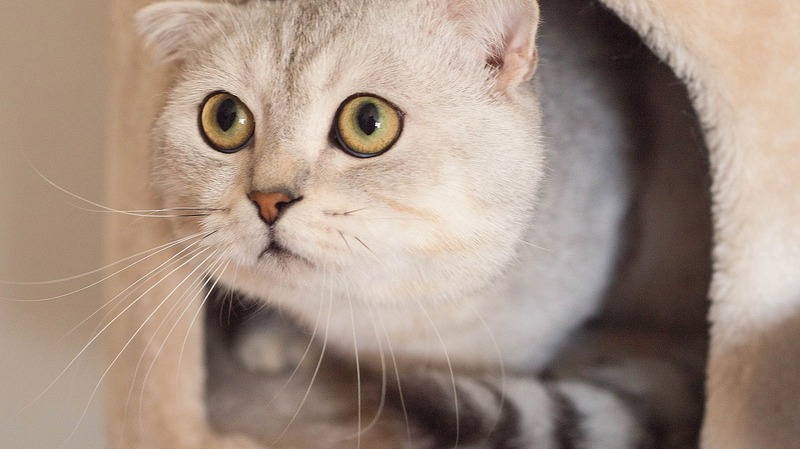 Many of us have this pattern – of advancing and retreating, popping out and scurrying back into hiding. And that’s perfectly OK. But it makes for very slow – and often very painful – going. And the PAIN IS KEY. How we FEEL. The emotional pain that we experience, at a mental, energetic, and yes, even physical level. Try it right now. Thing of something that you’ve been meaning to do in order to be seen more in your business, and that you still haven’t got around to. Can you feel them? As you think about that thing you’ve been procrastinating on, what emotions do you feel and where do you feel them in your body? None of which is very healthy or solves the problem. Or gets us higher up our pyramid. What can we do instead? Here are a few things you can do right now. Stay with it the whole time. How often do you start to feel something – sad, angry, bothered etc.- and then push it right down? It’s not convenient or appropriate. But unfortunately, the energy and the feelings are still there, in our nervous system and in our body. And they can show up in more ‘socially acceptable’ ways like headaches or aches and pains, or worse. Sit quietly where you won’t be interrupted. FEEL the emotion. Where is the emotion located in your body? Can you describe it? As you observe it, does it move? How does it change? Allow yourself to be with the emotion, acknowledge it, that it is there, to watch it and give it time and space to be, to honor your feelings.Remember, ‘what we resist persists’ so just let it be. Usually this exercise is very calming and healing and nurturing. If you are finding it hard to move through the emotions I would suggest you try the next exercise, EFT Tapping. Tapping on acupressure points on your face and torso can feel weird, but has been scientifically proven to help relieve stress, clear negative emotions and re-wire our nervous systems. Check out my article EFT: The Whats, Whens and Hows to know more and find out how to ‘do’ tapping. Here’s a script you can use as you tap round the points to clear your blocks to becoming more visible. First rate your emotion on a scale of 1-10. Eyebrow: It’s scary to be more visible. Side of the eye: I’m afraid people will criticize me. Under eye: They won’t like me. Under nose: I’m making myself vulnerable. Chin: They’ll see that I’m not good enough. Collar bone: I just want to run away and hide under the bed covers. Under arm: Every time I step out the fear comes in. Top of head: It’s just not worth it. Eyebrow: And I have so many memories of times that I allowed myself to be more visible and I regretted it. Side of eye: I somehow got into trouble, or felt bad. Under nose: But I want to grow and be seen. Chin: I have things to share with the world. Collar bone: And I'm tired of playing small. Under arm: Holding myself back this way. Top of head: So I choose now to clear everything which is stopping me. Eyebrow: The uncomfortable emotions and feelings. Side of eye: Clearing them from my body and my energy system. Under eye: And I'm choosing to re-wire my nervous system. Under nose: Choosing to know that it is safe to be seen, to be visible. Chin: That it's safe and that it's good. Collar bone: Good for me and for the rest of the world. Side of eye: Through every time that it didn't feel this way. Under arm: Becoming more and more visible. Top of head: And feeling really great as I do so. Take a deep breath. Rate how you are feeling now and notice any shifts you have. 1. 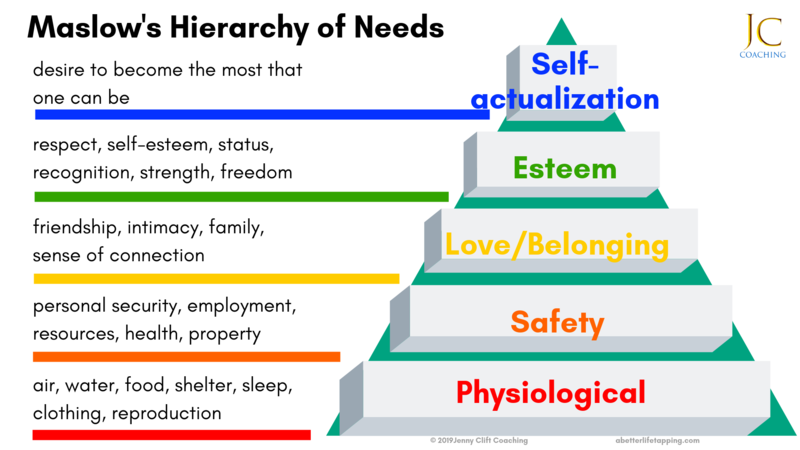 According to Maslow, once our basic needs are met, it is human nature to strive for more. 2. Our success is determined by our early programming, how we are received by others and how we feel. 3. Pain - our emotional pain - is key. As a wake up call and a means of healing and growing. 4. Paradoxically, acknowledging and really feeling our emotions helps to shift them. 5. EFT Tapping is one way we can free ourselves from the negative emotional backlash we can experience as we become more visible. Work with me - 1 to 1 or in a group. Do you want to explore, really go in deep and clear the things that are stopping you from becoming more visible and enjoying being out in the world? Why try to be happier? The 3 pillars to embrace happiness.